Just prior to Jesus’ crucifixion he told his disciples, “If you were of the world, the world would love you as its own; but because you are not of the world, but I chose you out of the world, therefore the world hates you” (John 15:19). Now while we Christians should not worry about the fact that the world may hate us, we should make sure it is not for all the wrong reasons. I found an interesting post on this very subject where the author lists five things that unchurched people dislike about Christians. I thought I’d list them below and add a few of my own. In no particular order, here are five things people that are unchurched or without the knowledge of God dislike about people who claim to be Christians. 1. Don’t like Christians who treat other Christians poorly – Interesting that even though an unchurched person may completely mis-understand who God is, they still believe that Christians should love one another which is also one of the commands Jesus Himself left us (John 15:12). 2. Don’t like “holier-than-thou” attitudes – A good friend of mine once said, “You can sin less but you still sin.” So simple and yet so profound. Have any of us stopped sinning since we came to Christ? We may sin less and we may even have left the “practice of sinning” but we still sin and are still therefore apart from Christ, most unholy. 3. Don’t like Christians who talk more than they listen – This is true of anyone, Christian or not. One of the best things a Christian can do is to listen, especially if someone is opening up about a problem or situation they are facing. Wise Christians will wait on the Holy Spirit to lead them as to when and what to answer in such scenarios. 4. Don’t like Christians who won’t get involved in my life – I’m reminded of the old adage, “People don’t care about how much you know until they know how much you care.” You could also say that they don’t care who you know (God) until they know that you care. When a believer gets involved in an unbeliever’s life, it is often in these times that they will have the most impact on them. 5. 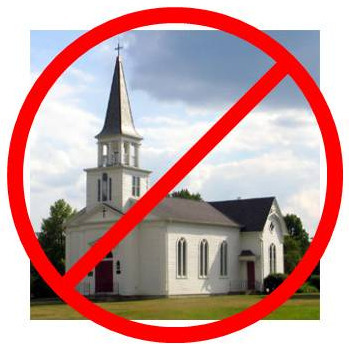 Don’t like Christians who don’t go to church – I’m thinking of a fitness freak who never frequents the gym or a health conscience person who always eats fast food or a numerous other situations where a person’s beliefs are not put into practice. I know there are bad churches everywhere but there are still good ones. If one is to follow Christ, then they also need to be part of a body of believers. This is part of God’s plan for His children – that they continuously experience fellowship with one another (Heb. 10:25). 6. Don’t like Christians who have no joy – Christians, no matter what they are going through, should be able to portray joy in their lives, if for nothing else due to the fact that they have the hope of Christ in them. I’m not saying that Christians should be constantly be upbeat and happy. Rather they should be real and transparent but at the same time allowing that joy and hope that Christ gives us to always shine through, no matter what circumstance we are currently in. 7. Don’t like Christians who forget they still live on Earth – I am referring the the “super-spiritual” here, those Christians who seem to forget that they live in a real world with real people. I once heard a pastor make the statement that he did not want any “negative” people around him so as to not dilute his positive thinking. Are you kidding me? How can a minister minister to only the healthy? 8. Don’t like Christians who don’t understand what they believe – Blind faith is what they call it – believing in something just because someone says so. Christians should have at least some understanding as to what they believe. As my pastor says always, “Don’t check your brains at the door.” I Peter 3:15 says, “always being ready to make a defense to everyone who asks you to give an account for the hope that is in you, yet with gentleness and reverence.” Keep in mind that when asked to defend your faith, it is okay to respond with a, “I’m not sure about that but I will look into it,” which should then prompt you to seek out an answer through study, prayer or both. Now as a Christian, it is error to think, “What do I care what non-believers think of me? They’re going to Hell anyway,” when in fact that should be the very thing that compels us to be concerned about what they think. Paul said “I have become all things to all men so that by all possible means I might save some” (I Cor 9:22). In light of these words as well as this post, shouldn’t we make sure we are doing all we can to help lead the unchurched to Christ as opposed to being a stumbling block to the process? What about you the reader? Whether churched or unchurched, can you think of anything else that may have been missed here? I’d welcome your comments.